The Primate of All Ireland has paid tribute to the women and men of Ireland who have consecrated their lives to God through religious life. 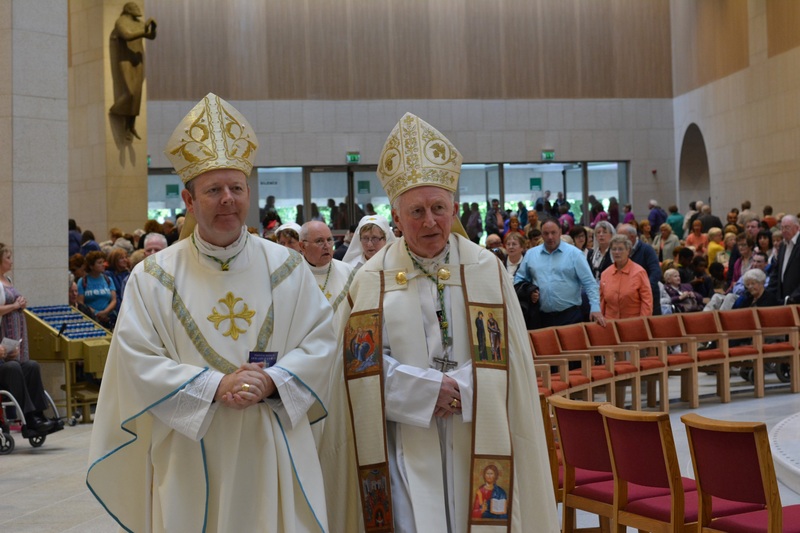 In his homily on Saturday in Knock for the Feast of the Assumption, Archbishop Eamon Martin said that though their numbers are smaller today, Irish religious still make “an immense contribution” to Ireland and the world by living their particular apostolates and charisms. These include education, healthcare, prison chaplaincy, working with the marginalised and forgotten, inter-Church work, care of the elderly and helping those with special needs. Referring to the Year of Consecrated Life, he said religious men and women had chosen to ‘lose something of themselves’ by consecrating their lives totally to God as members of religious congregations of sisters, brothers or priests, and generously professing lives of poverty, chastity and obedience. The Primate of All Ireland said that in religious, the Church sees reflected in a special way the presence of Mary because she is the perfect model of consecrated life. Archbishop Martin described consecrated life as a life of joy. He said this was the message that the Rise of the Roses team had been spreading around Ireland this summer. “And on their tour they have discovered it to be a life of love, happiness and joy. It is a vocation which makes a real difference to the drab, ‘throwaway culture’ that this world too often falsely promises our young people,” he said. Ten weeks ago the team of young women began their tour at the Poor Clare monastery near the birthplace of St Brigid in Faughart, Co Louth. 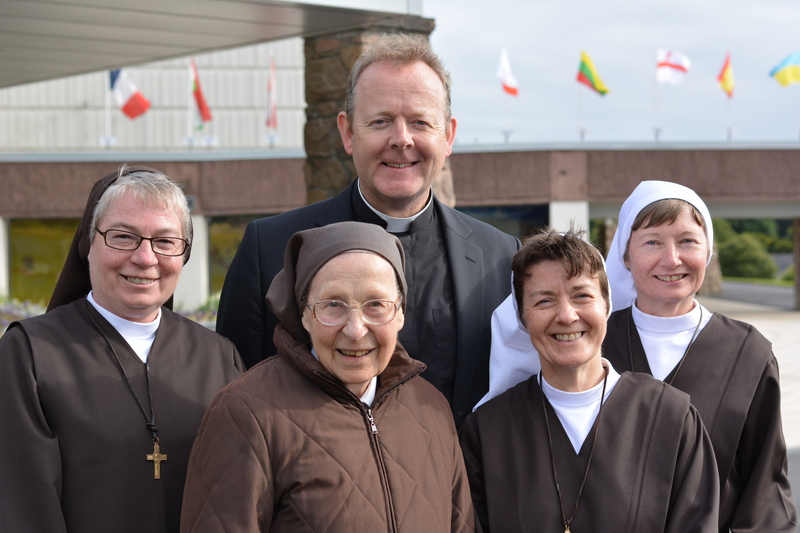 Since then they have visited convents in every corner of Ireland, gathering fellow young people to listen to the Sisters’ stories, share their hospitality and join them in praying the Rosary and adoration of the Blessed Sacrament. On Saturday the Rise of the Roses team finished its tour at the shrine of ‘the Golden Rose’ in Knock. 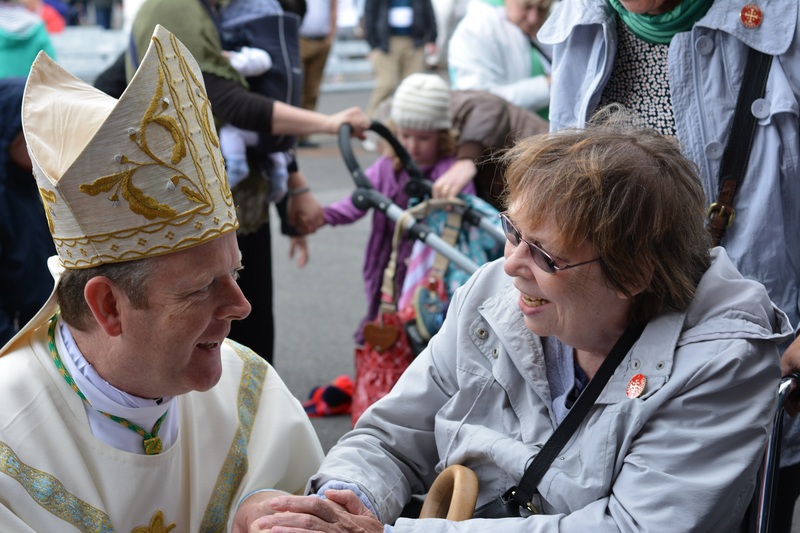 “On behalf of the Church in Ireland – and especially on behalf of our wonderful religious sisters, brothers and priests – I wish to thank you for reminding us of the joy and fulfilment that can be found in being consecrated to God, a people set apart,” Archbishop Martin said. 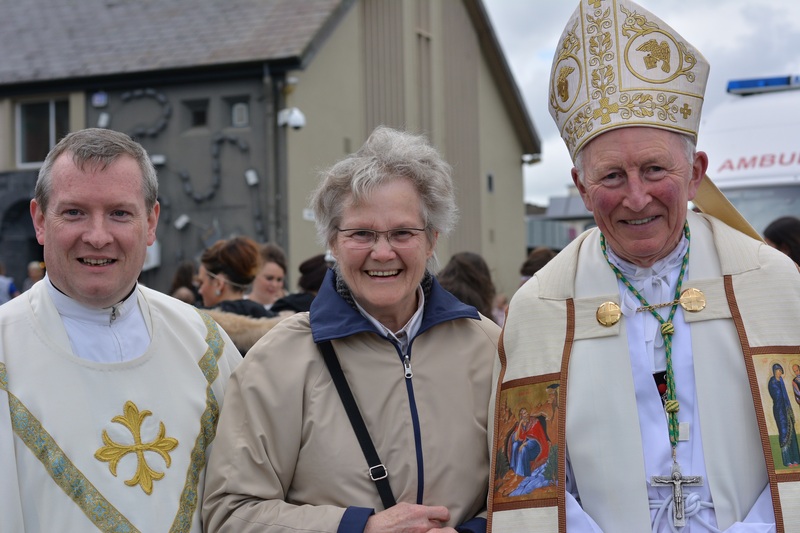 The main celebrant at Saturday’s Mass was Bishop Philip Boyce of Raphoe and Archbishop Eamon Martin and Bishop Seamus Hegarty concelebrated along with many priests. 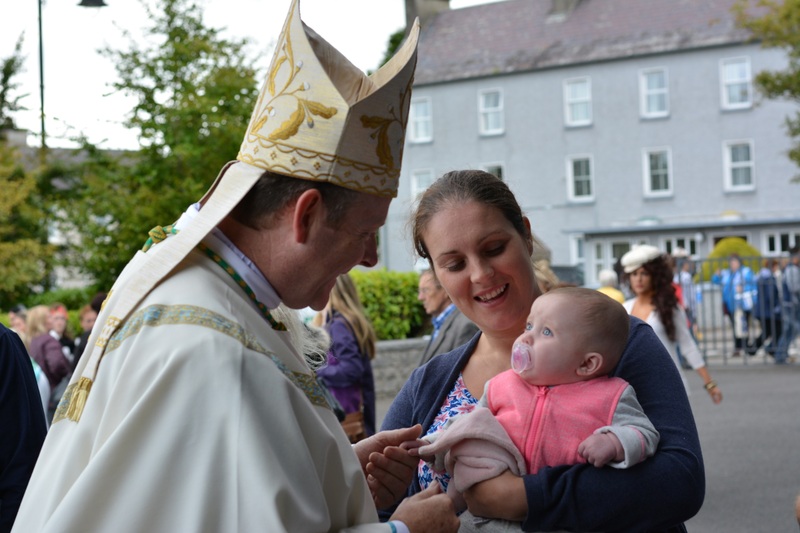 On Saturday, the Primate of All Ireland also launched a new initiative inviting the faithful to pray at least one Hail Mary and dedicate their prayer to the family over each of the fifty days remaining before the Synod in Rome opens. In Knock, the Archbishop recalled that last autumn the Extraordinary Synod in Rome focused on the challenges facing the family all around the world today. This October the Synod will look in particular at discerning the vocation of the family today and reflecting on the family’s mission. “I ask people to pray that the Synod will be able to offer the Church, and the world, pastoral initiatives to encourage renewed efforts in sharing the joy of the Gospel in our daily lives,” he appealed.